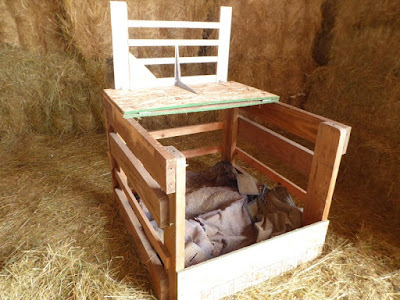 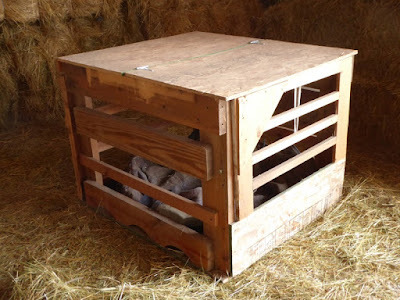 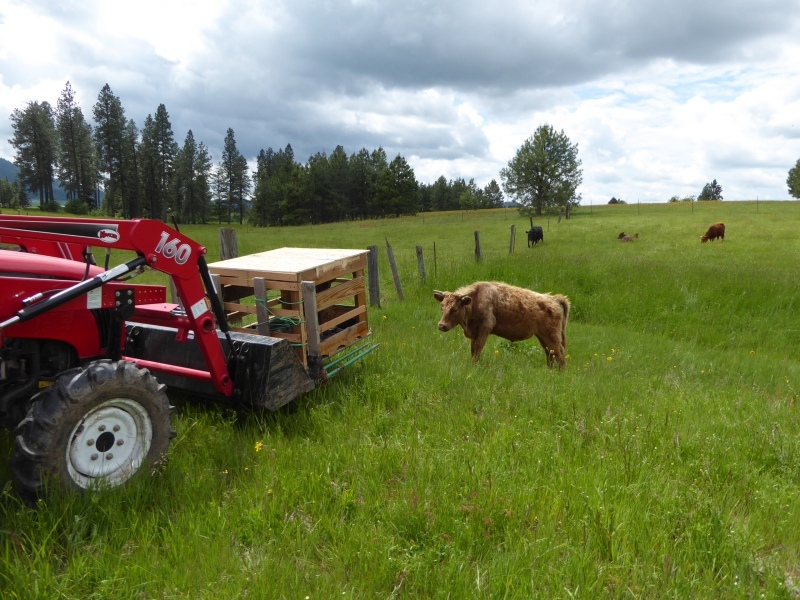 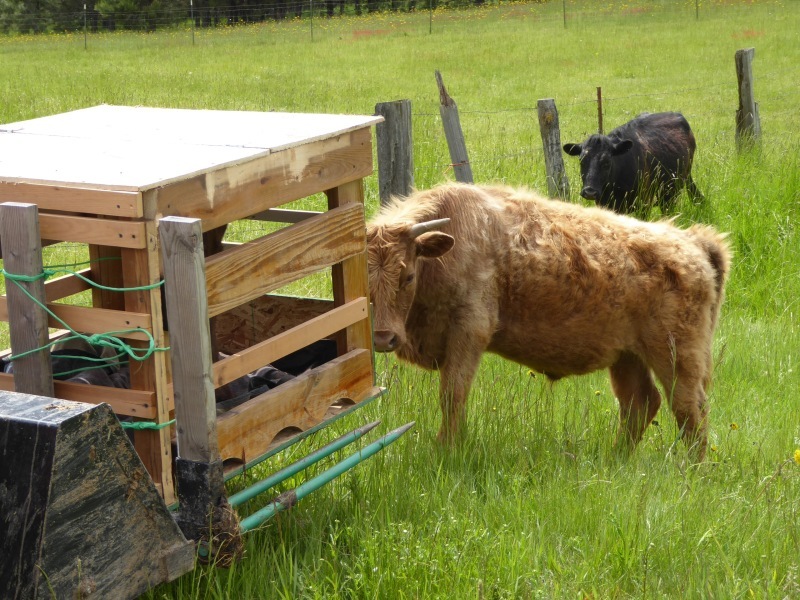 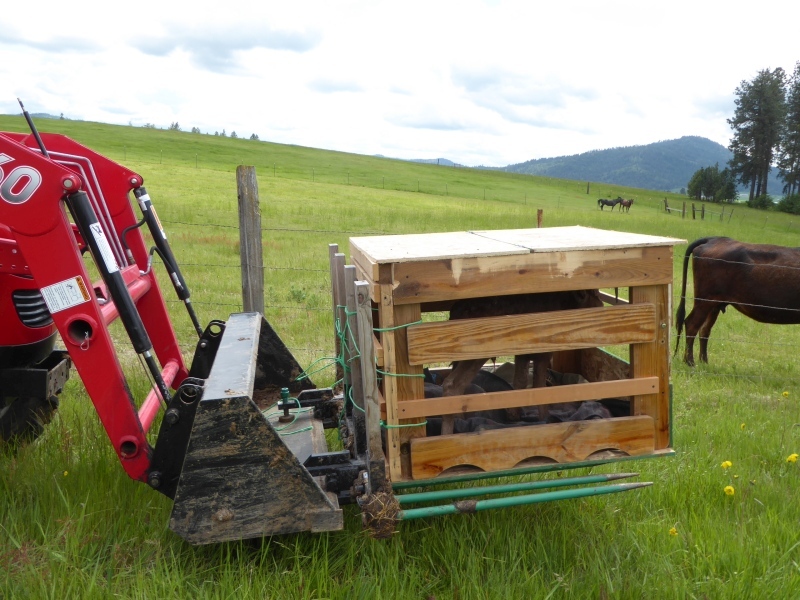 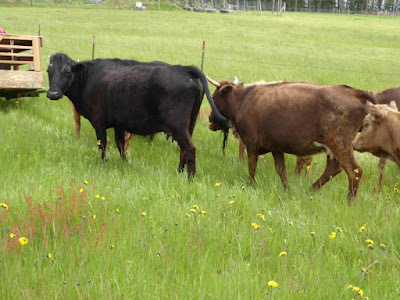 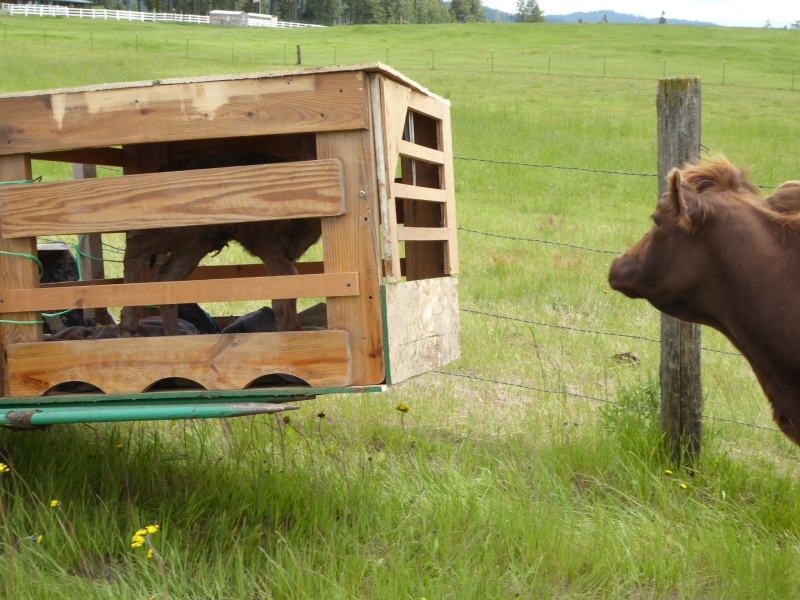 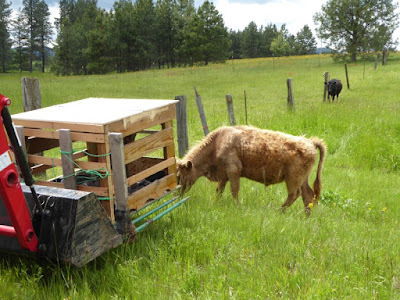 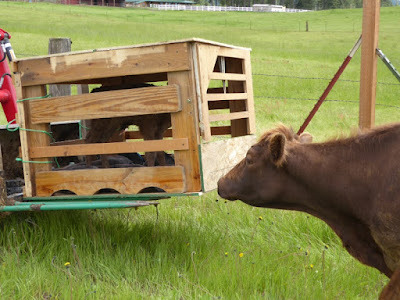 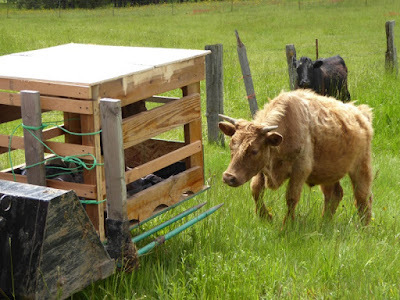 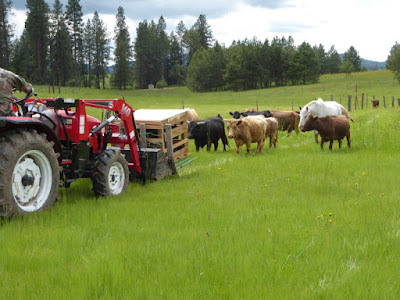 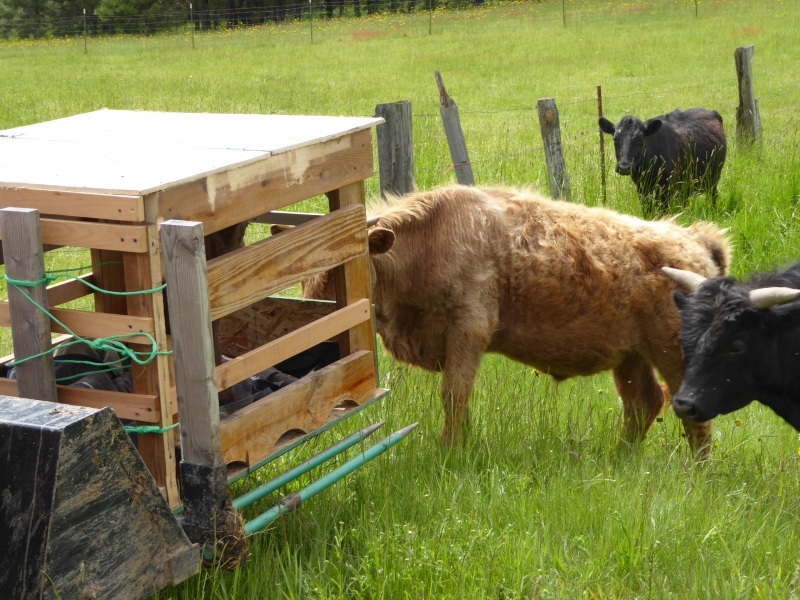 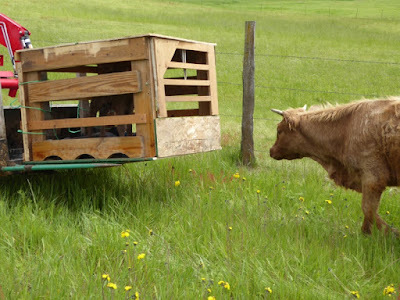 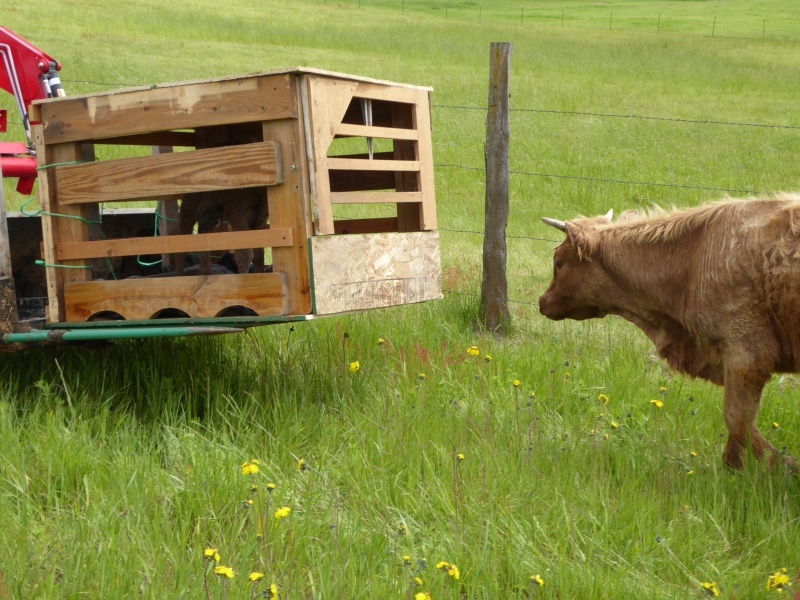 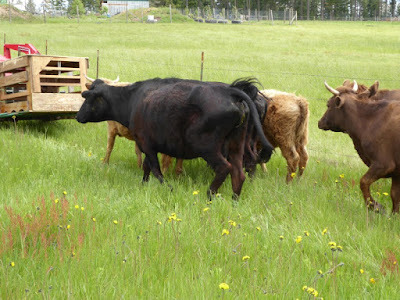 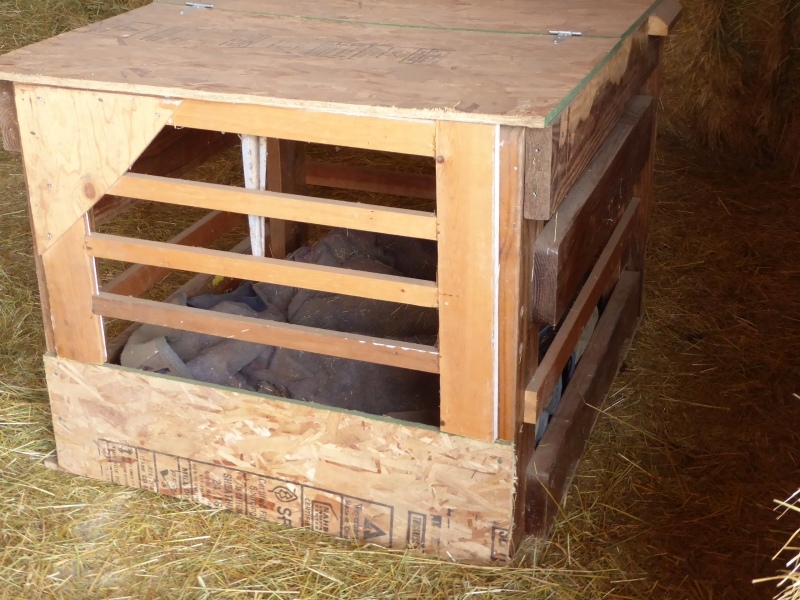 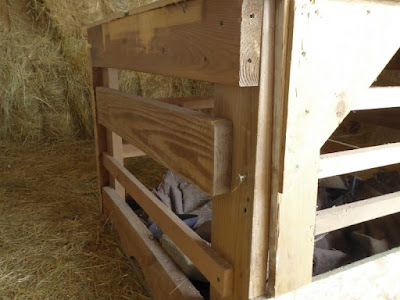 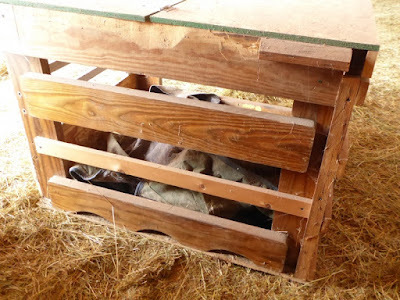 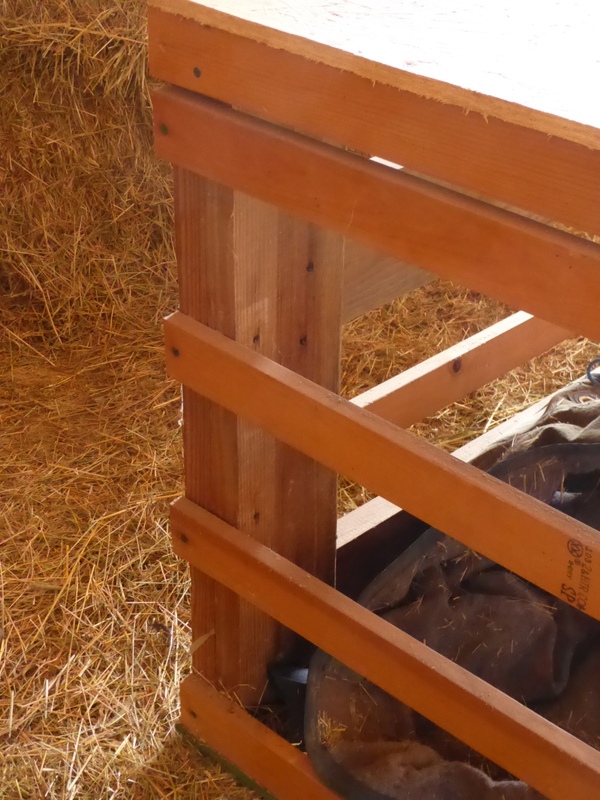 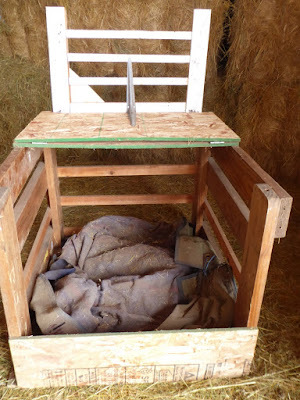 Below are photos of the calf cage Don built last summer to bring newborn calves out of the pasture. These photos are to illustrate an article I wrote for Self-Reliance Magazine (a superb spinoff of Backwoods Home Magazine), and are posted so the editor can choose which ones she wants to use. 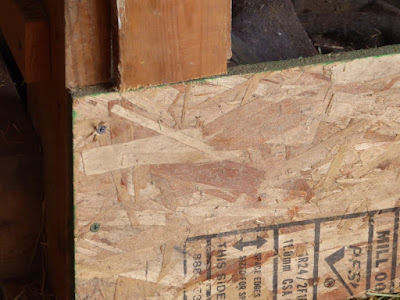 Editor: Photos 17 through 25 are low-resolution only. Everything else is high-resolution. 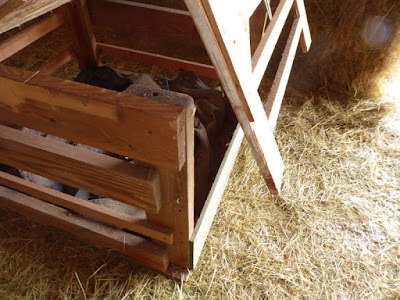 Photo 4 -- Calf cage, opened. 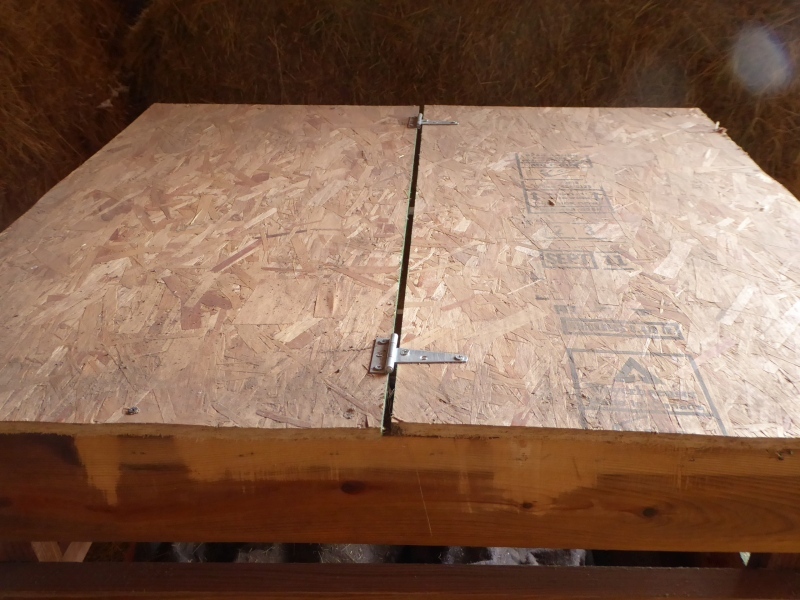 The roof is hinged in the middle. 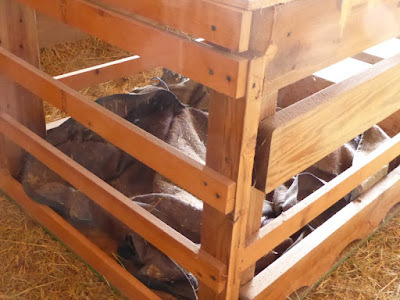 Horse blanket on the floor. 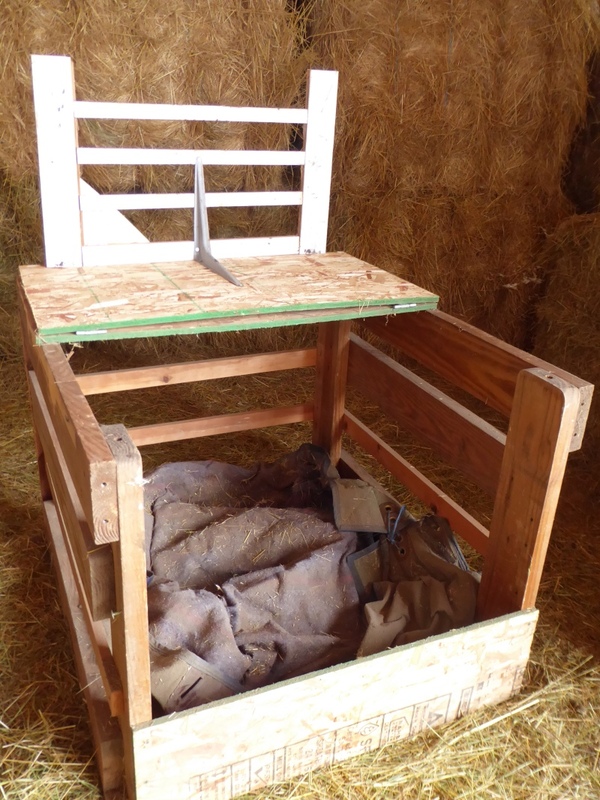 Photo 5 -- Calf cage, opened. Photo 7 -- Door folded back and resting in open position. 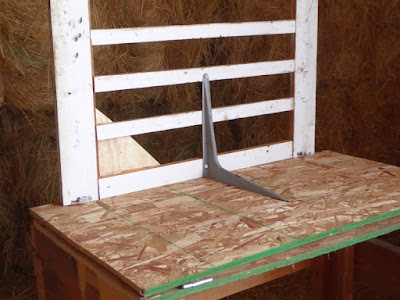 Note corner bracket for strength, shelf bracket for strength. 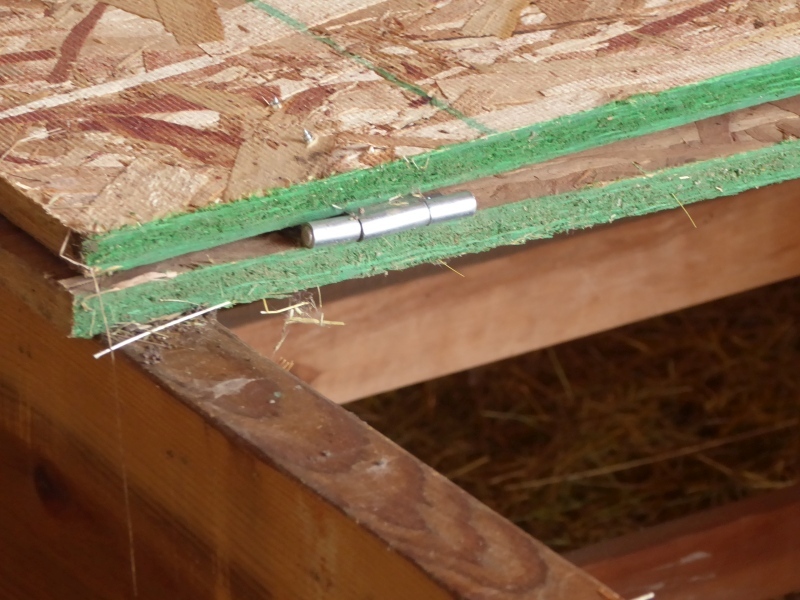 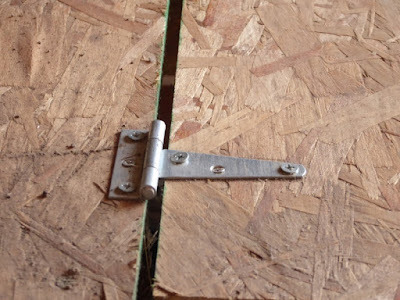 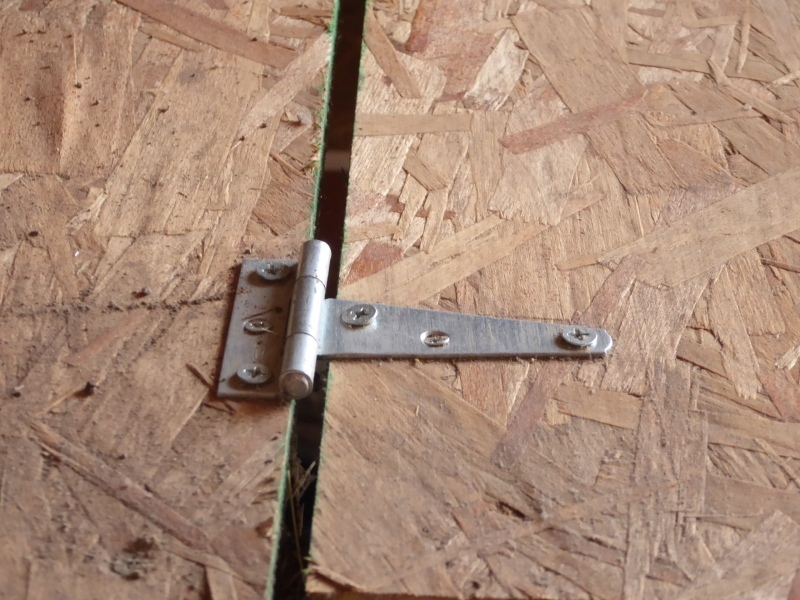 Photo 8 -- Roof hinges. 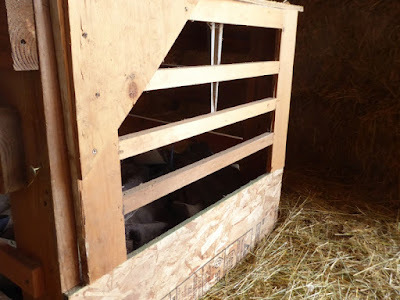 Photo 17 -- Newborn calf peeking through cage slats: "What's going on?" The curious cows make me giggle.